We have all of the Parts and Accessories you need! Why buy genuine Honda parts and not some knock off brand? Well first they fit perfectly, the first time, every time. The integrity is the same that builds years of reliability into your Honda, why would you want to spoil that? 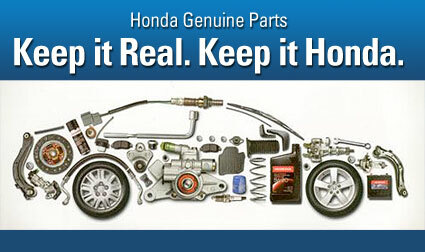 Most importantly, genuine Honda parts are warranted! It’s just peace of mind. Honda of Oakland is dedicated to providing you with Genuine Honda Automotive Parts, as well as providing the most complete inventory.